Why purchase new carpeting if it can be repaired at a fraction of the cost? At O'Bryan's Carpet Cleaning we provide extensive carpet repair services, including, but not limited to carpet stretching, carpet patching, split seam repair, Kool-Aid, wine, and rust stain removal, Z-bar and metal edge installation, repairing loose carpeting on staircases, and carpet reinstallation with new padding following water damage restoration. 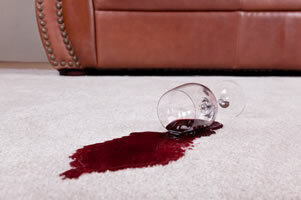 When carpets are improperly installed, it can lead to wrinkling and rippling of your carpet. At O'Bryan's Carpet Cleaning, we can power stretch your carpet to remove those unsightly wrinkles. 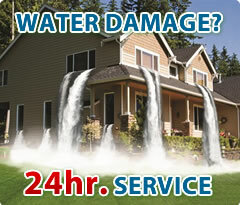 Have damaged areas that need repair? No problem! 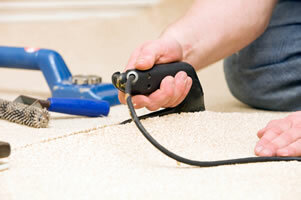 We can patch them so you can avoid replacing an entire area of carpet. Whether your carpet repairs are residential or commercial, O'Bryan's Carpet Cleaning can help you return your carpet to a presentable condition and save you money! Based in Denton, Texas, O'Bryan's is your best source for carpet stretching and repairs in Denton, carpet stretching and repairs in Lewisville, carpet stretching and repairs in Flower Mound, carpet stretching and repairs in Argyle, carpet stretching and repairs in Highland Village, carpet stretching and repairs in Copper Canyon, carpet stretching and repairs in Bartonville, carpet stretching and repairs in Lake Dallas, carpet stretching and repairs in Hickory Creek, carpet stretching and repairs in Little Elm, carpet stretching and repairs in Corinth, carpet stretching and repairs in Oak Point, carpet stretching and repairs in Crossroads, carpet stretching and repairs in Aubrey, carpet stretching and repairs in Krugerville, carpet stretching and repairs in Pilot Point, carpet stretching and repairs in Providence Village, carpet stretching and repairs in Sanger, carpet stretching and repairs in Krum, carpet stretching and repairs in Ponder, carpet stretching and repairs in Justin, carpet stretching and repairs in Lantana, carpet stretching and repairs in Robson Ranch, carpet stretching and repairs in Shady Shores, carpet stretching and repairs in Trophy Club, carpet stretching and repairs in Northlake, carpet stretching and repairs in Roanoke, carpet stretching and repairs in Bolivar, carpet stretching and repairs in Paloma Creek, carpet stretching and repairs in Savannah.